This short story was selected as a runner-up for the 2013 ProjectREUTSway competition. 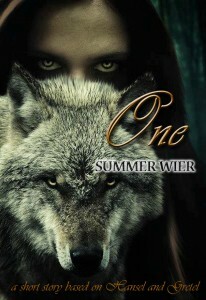 ONE is a Hansel & Gretel retelling featuring werewolves and a Dr. Jekyll & Mr. Hyde twist. The way she says that word sends chills up my spine. I pull the ragged quilt over my head, muffling their argument. It’s been almost four weeks since papa took us into the woods. Four weeks since the last full moon. I peek over the edge of my blanket. Shadows move under the crack of the door. Someone tests the knob. Tonight we are locked in, so we can’t collect rocks. That was Hansel’s idea; he saved us. He left a trail and brought us home. This time, she makes sure we can’t come back. “Rise and shine,” she calls softly, sweetly—the way a mother’s voice should sound. But I know better. I put on my only dress, the red paisley print barely visible in the well-worn fabric. My sweater doubles as a pillow. I grab it off the mattress and wrap it around me. It’s still warm. My tummy growls. I’m hungry. Hansel says we should eat Stepmother. “That’s disgusting.” I bunch up my nose, but inside I smile a little. He would say something like that. After slipping on my shoes, I walk to the kitchen. The smell of fresh, baked bread lingers in our tiny cabin. We only had enough flour for one more loaf. I’m surprised she makes it now; she’s so close to being rid of us. Or so she thinks. As she cuts thick slices, my eyes search the room for anything that might be used to mark our path. Something small, inconspicuous. Something to lead us home. An open box of matches sits on the edge of the counter. I could fill my dress pockets, but she would surely notice if some were missing. Moisture lines my hand, the bread still warm. Just like before, I slide them into my pockets. My mouth waters as I try to resist the temptation to nibble on a spongy piece. But I know what Hansel will say. We will use the bread to find our way home. The sun shines above, sporadically peaking through the thickening canopy overhead. Papa doesn’t say a word as we walk farther into the woods than ever before. We lose the trail , or it stops, but we keep going. All the while, I drop pieces of bread to the ground. When we come to a clearing, Papa stops. His head hangs low. Silence. Sadness. He turns to face us, the weight of what he must do hangs heavy on his brow. Kneeling in front of us, he gathers us into his arms. I press my ear to his chest, his breathing shaky. He fights back sobs. He loves us. I know it. He sighs and lets us go. A gust of wind sends a blast of cold through my sweater. It will be night soon. The forest scares me. Hansel whispers not to worry. Papa turns and walks away. I count his steps as he disappears into the overgrown underbrush. Maybe he will change his mind this time. We can go home together, before it gets dark outside. But he doesn’t come back. If we wait any longer, we won’t be able to see the trail. We circle around the clearing until we find a clump of bread. I’m so happy I almost scream, but I eat the bread instead. Making our way through some bushes, we look for another. And another. We duck under a fallen tree and surprise a group of birds pecking at the ground. A large blackbird hops by with a crust hanging from his bill. “Oh, no! They’re eating the crumbs!” I run through them, screaming, waving my arms around. It’s no use. Our trail is gone. The warm glow of day fades into the grayness of dusk. We are lost. Alone. The forest swims around me. Dizzy, I lean against a tree to catch my breath. A whimpering cry escapes my lips. Hansel shushes me. He smells something. I tip my nose up. The sweet scent of cinnamon fills the air. My mouth waters. As we follow the aroma, it changes. Apples. Maple. The faster we walk, the stronger they get, until we discover a tiny house covered in candies. My eyes grow wide. I have never seen anything like it. We race to the siding, panels of gingerbread. It has been two Christmases since Stepmother made any. I rip off a chunk, but before I can eat it Hansel warns me I shouldn’t. He only says that because he doesn’t like gingerbread. That means more for me. As I fill my tummy with tasty treats, an old woman sticks her head out the door. “Who’s there?” she calls out. I freeze. The woman turns her head from side to side, sniffing. Hansel hesitates, but he can’t resist cinnamon rolls. We follow her through a rounded doorway made of red licorice ropes. Cotton candy drapes flow around the windows. A candy cane chandelier hangs from the ceiling. Goodies fill every table, every corner. Cupcakes, sweet biscuits, fudge and Christmas candies. It’s amazing. Magical. Delicious. “Eat anything you desire,” says the woman. A savory, salty smell tickles my nose. Hansel smells it too. He wants it. In the corner, near the fire, silky fabric falls from the ceiling and sections off a little room. We peek through the opening, where the cloth is pulled to the wall. At the center of a small, wooden table, piles of sliced ham soak in thick maple glaze. Without a second thought, we hurry to the dish. Forgetting our manners, we use our fingers to stuff chunks of meat into our mouths. As soon as we’re inside, the room shakes with a rumble and a clank. The silky sheet falls to the ground. Thick metal bars surround us. A cage. A trap. I turn from the table, ham juice dripping from my chin. Through wrinkly, half-shut eyes, the old woman stares at us. I frown. “What are you going to do with us?” I ask. “Because nothing is as soft or tender as the flesh of a young child after she’s stuffed herself with sweets!” She cackles. I scramble to the back of the cage, bumping the table. The meat falls to the floor. Hansel says we shouldn’t waste it. “I’d rather starve!” I scream at him. I huddle in the corner and wrap my arms around my legs. Tears slide down my cheeks. I miss Papa. I want to go home. Hansel says he’s sorry for what he said about the meat. His words calm me, but I don’t know what he means. He tells me to look out the window. I wipe my eyes and glance up from knees. Through lollipop panes, I search the sky. It’s there. Round. Full. Hansel tells me not to be afraid. He will save us. I believe him. I squeeze my eyes shut as my body begins to shake. My bones begin to grow. Popping. Cracking. It hurts when my skin stretches over them. The pain only lasts for a second because skin turns into thick, coarse fur. Ears lengthen. Sharp fangs emerge in the powerful muzzle that replaces her thin, dainty lips. My sense of smell is better than hers. Blasted ham. I could smell it a mile away. It’s my fault for bringing us to the old woman’s cottage. Anger fills me when I think of everything my dear sister has seen. But that doesn’t matter now. I will take us home. In a powerful lunge, I pounce on her. Surprised, weak, she falls to the floor like a rag doll. I sink my teeth into her flesh, tearing it from her body—my massive jaws a bear trap around her puny, brittle bones. Gretel yells at me to stop. I ignore her. I can’t restrain the beast. The old woman will never bother anyone again. We waste no time leaving the blood-soaked candy prison. Gretel says she’ll never eat gingerbread again. I am sorry for her, but she will forget. We race through the forest, faster with the power and speed of four legs. The moon glows in the sky, lighting our way. Big. Close. Like the first time. It shined on the pebbles, guiding us home. Now, it calls to me. Fuels me. My hunger grows. The forest behind us, we run through the fields. Gretel is happy. She can see home. I slow as we approach the barn. We slip inside and wait. Stepmother will wake to feed the chickens. Through cracks in the weathered wood panels, we watch the early glow of morning sneak onto the horizon. Soon the moon will be lost in the brilliance of day. Gretel yawns. I tell her I love her. I am always here for her. The barn door creaks open when Stepmother enters. I should have done this long ago; saved Father the pain of choosing between us. My jaws snap closed around her neck. She never sees it coming. I drag her through the barn, to the lake behind it. Another victim of the beast. One less mouth for Father to feed. My eyes flutter open. Papa sleeps in his favorite chair. I lay on the rug in front of the fire, its flames warming my face. Home. “Papa,” I whisper as I sit up. Papa leans back. His hands rub my arms and he shakes his head. ”Oh, my little one. What horrible things you’ve experienced because of me. I never should have left you the first time. If I hadn’t your brother might still be alive.” He covers his eyes with one hand. Breathing deeply, he fights back sobs. Papa drops his hand into his lap. His forehead wrinkles, his eyes narrow. 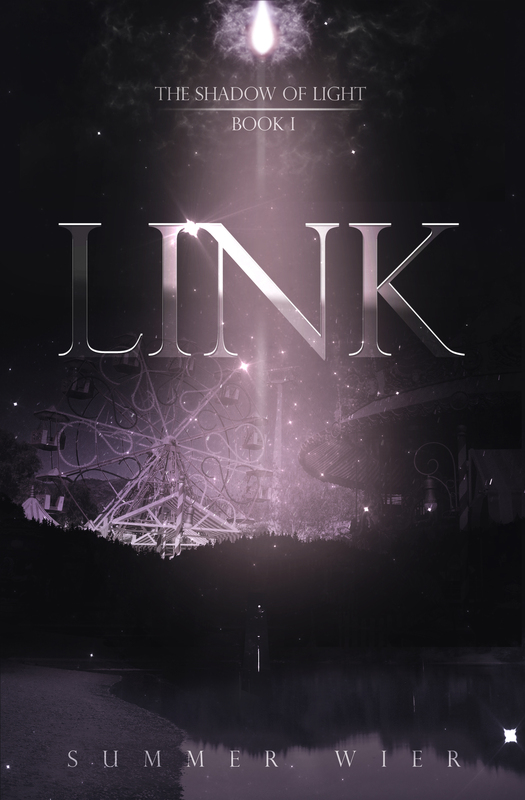 *A big thank you to Melody Winter for creating the beautiful mock cover art.